A tropical country with so much excitements to offer for its visitors, Malaysia is one of the best countries in Asia for island vacation. Whether you are an adventurous type of traveller who loves to discover the mysterious underwater world or simply looking for a relaxing getaway on the tranquil white sandy beaches, the islands in Sabah will sure fascinates you. The underwater world in the islands of Sabah had never failed to mesmerize its visitors. For those who would like to dive into the deep sea to discover school of barracuda, white tip shark, giant stingray and turtles swimming around, Sipadan Island off the coast of Sabah has something unique to offer. Rated as one of the top 10 islands for scuba diving, the island is widely known as a diver paradise thanks to its unique location and well preservation efforts by the local authority. Located in close proximity with Sipadan Island, Kapalai Island is another perfect island for diving and snorkelling. The 5 stars all inclusive resort operates on the island not only providing good diving opportunities in the surrounding area, the top notch amenities and services provided by the resort are simply magnificent and perfect for honeymooners and couples to stay in for a night or two. For visitors who are looking for a luxury relaxing getaway at affordable price, Mataking Island is your best bet. The resort on the island is one of the top tourists rated resorts in South East Asia. With private sandy beach and amazing sunset view from the beach front chalet, the island is one of the top choices for honeymooners and holidaymakers in the region. Pulau Layang Layang on the other hand is another great island not only perfect for underwater discovery, but also perfect for birding. At any one time, there will be hundreds of bird species residing in this untouched island. Swallows, egrets, brown foot boobis are some of the common residents that birders can spot easily. With more than 30 dive sites surrounding the island and with good visibility range (between 30-60 meters), divers can easily spend 3-4 days on the island just to discover each of the sites that offer different tropical fish species. 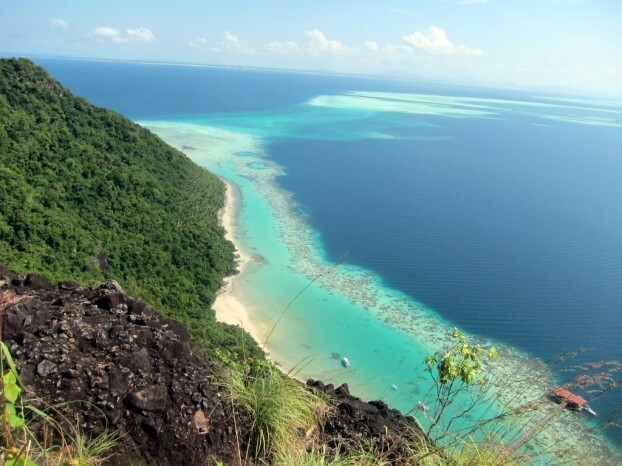 A jewel-like small island in the Sulu Sea and 90 minutes boat rides north of Sandakan, Lankayan Island is one of the marine protected areas that adopt eco-tourism concept in Malaysia. The island is inhabited and this is the reason why the white sandy beach on the island is able to provide the tranquillity that is long missing from the other islands within the region. Thanks to the crystal clear water surrounding the island, diving can be done near to the beach without having to go into deep sea. If you are visiting the island during the turtle nestling season (June to September), you may be able to see the fantastic moment of baby turtles being released back to the sea. The islands off the coast of Sabah are some of the best destinations to spend your vacation in Malaysia. Whether you are looking for a fantastic underwater discovery session or simply to spend a lazy afternoon on the white sandy beach, you will sure find something unique and exciting here. Simon Lee is a Malaysia vacation specialist. For more information about Malaysia vacation, feel free to check out his website at HolidayGoGoGo.com. Next story How Does SEO Work? – An Insight Into Its Functioning!